Black Sabbath is the influential self-titled blues rock album that was underrated and even shunned by critics on its release in 1970. It subsequently played a large role in shaping the face of modern rock and even heavy metal before many critics warmed to it. Most of the album is focused on blues rock with some standout moments being The Wizard, which features a harmonica played by Ozzy Osbourne while Evil Woman (Don’t Play Your Games with Me) is a cover version of a song originally written and performed by the short lived American blues rock band Crow. There are some exceptions to the focus on blues rhythms however. Sleeping Village starts out as a soft, almost psychedelic tinged song with a Jew’s harp courtesy of producer Rodger Bain that is set to peaceful lyrics that contrast with the themes already mentioned before turning into a frantic instrumental jam. This sets you up for Warning, a cover of an extended jam session by the Aynsley Dunbar Retaliation that lasts for a little over 10 minutes. The main influence taken by future bands comes from the distinctive downtuned guitar tone and for laying the foundations for both stoner rock and the doom metal subgenre of heavy metal before the genre was even conceived. Ozzy Osbourne also proved that you don’t need to be a great singer to be a success though it is worth mentioning that his distinct voice is very fitting for the Black Sabbath sound. Horror films and fantasy stories are the focus of Black Sabbaths lyrics as they worked under the mentality of “if these themes can be used in books and films to scare people, then why not in music as well?” From the innovative title track to N.I.B. you’ll fantasy themed lyrics referencing witches, wizards, magic, the devil and more. These themes were controversial for the time and had a knock on effect with the lyrics and imagery of many future heavy metal bands. 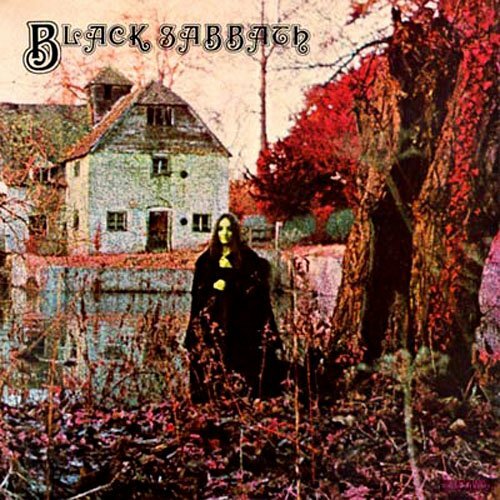 Black Sabbath is written around blues rock with the band members letting their own creativity and inspiration expand their sound beyond the confines of said fusion genre which let them unknowingly lay the foundations for new subgenres of music with a single 38 minute album.